So my food photos are usually somewhat lacking, especially compared to those who have blogs dedicated solely to posting delicious desserts or meals. I have to admit, I’m so eager to eat the food I make that I usually don’t have the patience to arrange the food nicely on a plate or make sure the amount of almonds or sprinkles or berries look picturesque for a photo. Or, I decide to do some late night cooking or baking or smoothie-making and I’ve lost the great natural sunlight and have to settle for my somewhat depressing, overly yellow-tinged kitchen light. However, I decided to dedicate some nice photos (with the setting sun to illuminate the cookies) to the following recipe because these are some of my all time FAVORITE cookies ever. And the title of the recipe doesn’t lie- these cookies actually melt in your mouth! 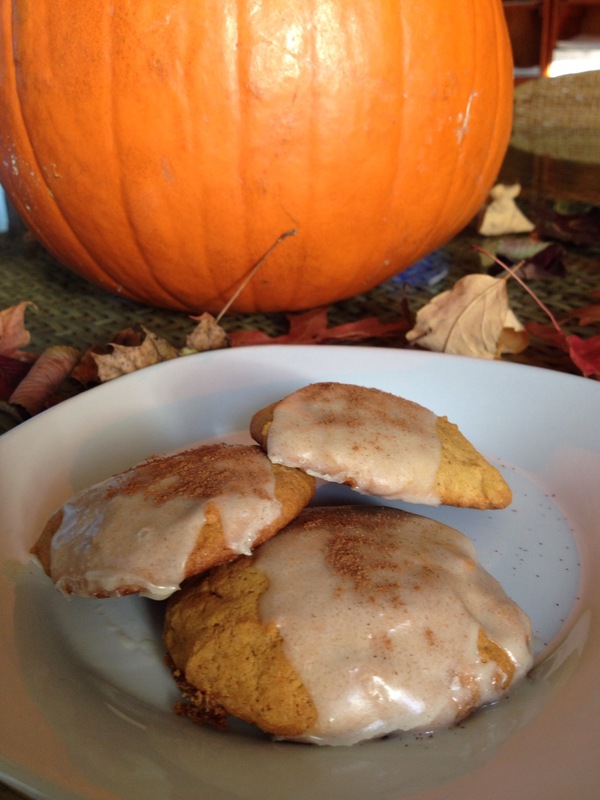 Seriously, if you haven’t had any pumpkin yet this fall season (shame on you!) than you must make these. Or if you think you have had way to much pumpkin already, you need to re-evaluate and try this recipe because it is so so so good- I promise! If you are looking for a quick and filling after-workout, after-work, or after-school shake, then this is the recipe for you. With only three ingredients ( I didn’t include ice as an ingredient but it is needed!) you can whip this tasty drink up in no time. I also find this drink especially tasty at breakfast before classes. If you have never had chia seed pudding before…you need to have it as soon as possible. It is that good. And one of the best parts of having chia seed pudding is that it is VERY quick and easy to make. This dessert is light, sweet and a nice substitute for ice cream or packaged pudding- I’ve even had it for breakfast before. In an effort to whip up an appetizing and filling lunch before I needed to run some errands, I decided to use fresh ingredients I had at home instead of a prepared package meal. The following recipe is actually very easy to make and satisfies the hunger pains with many essential nutrients. The main ingredient, kale. is an extremely nutrient-packed vegetable- I’m going to write up an entire post just about the benefits of eating/drinking kale so look for it soon! Since the temperature is still at a steady 85 degrees, I thought I would try to bring some “fall atmosphere” into my kitchen this morning. With that in mind, I whipped up a quick bowl of some good old-fashioned oatmeal with fresh apples and spices. And though I may be uncomfortably hot when I try to wear a long sleeve flannel outside, this recipe hits the right spot in terms of feeling like it’s actually fall (even though there are just a few more days until it is officially fall). I’m always looking for a healthy dessert. My desire for sugar unfortunately never wavers, so every day I feel like I am constantly craving some form of dessert. And since most desserts are not healthy, I am finding ways to satisfy my sweet tooth without all of the sugar, calories, and artificial (flavors, preservatives, colors). I recently found this recipe in the Seventeen Magazine as a simple snack to make that’s filled with protein. And indeed, it is extremely simple and requires only two ingredients. You can enjoy this after a long day at school, or just as a cool treat to beat the heat.